Rogue Ales & Spirits is an agri-fermenter founded in Oregon in 1988, as one of America’s first microbreweries. Rogue has won more than 1,000 awards and is available in all 50 states and 48 countries, but its coolest feature is Rogue Farms. Since 2008, Rogue became committed to saving the terroir of Oregon hops and barley, one acre at a time, by growing its own. 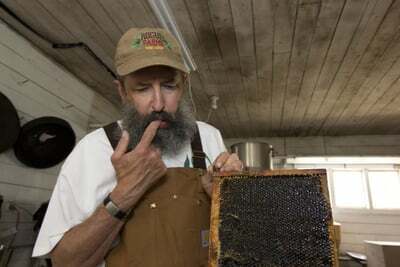 Mother Nature provided Rogue Farms with such a lush spring season that its honey was ready to harvest a month earlier than normal. Just a few days ago the company harvested they honey from its 7,140,289 honeybees. This was its second harvest of the year, starting with five varieties of Rogue Farms cherries grown on its 20 acre orchard in Tygh Valley, Oregon. @RogueAles @CraftBrewingBiz we love this! !